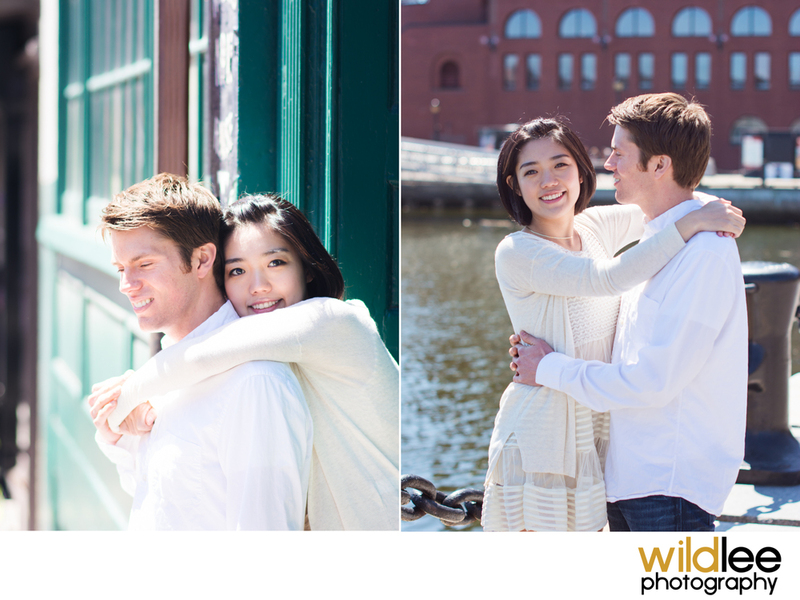 Esther and Mitch were so adorable and I really enjoyed working with them. 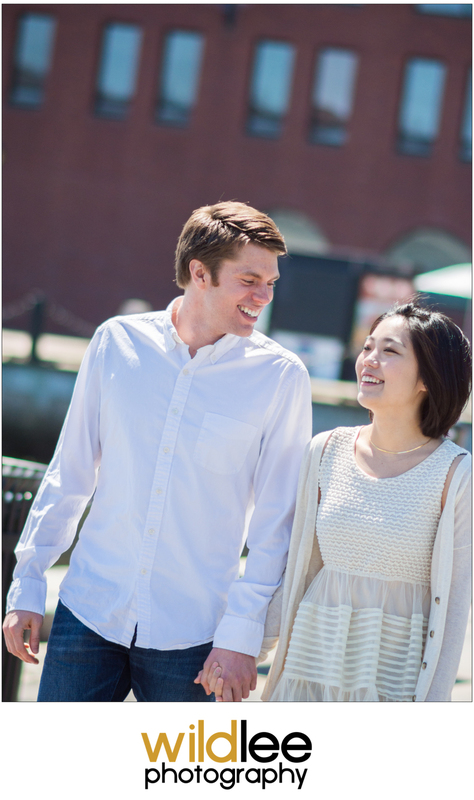 They are currently enduring a long-distance relationship as Mitch attends medical school in the midwest and Esther attends graduate school here in Boston. 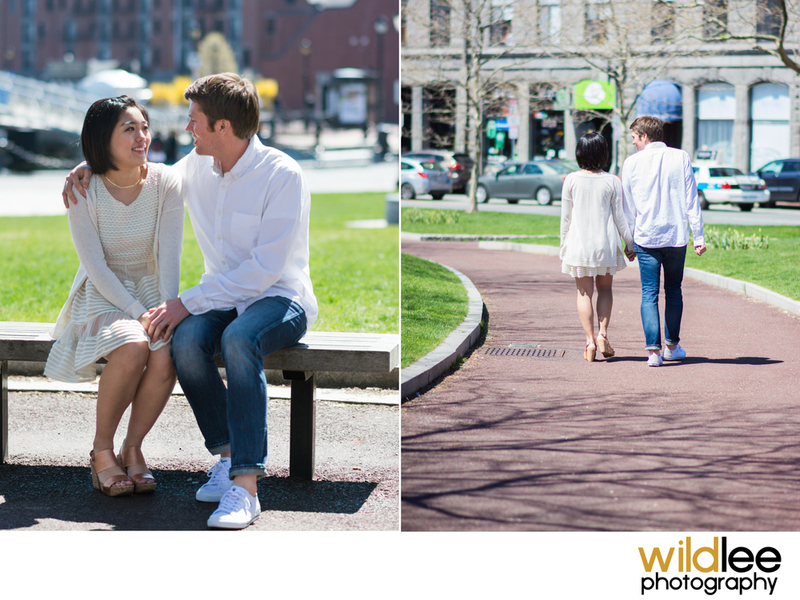 We decided to schedule the shoot for the North End in Boston and what a great location! 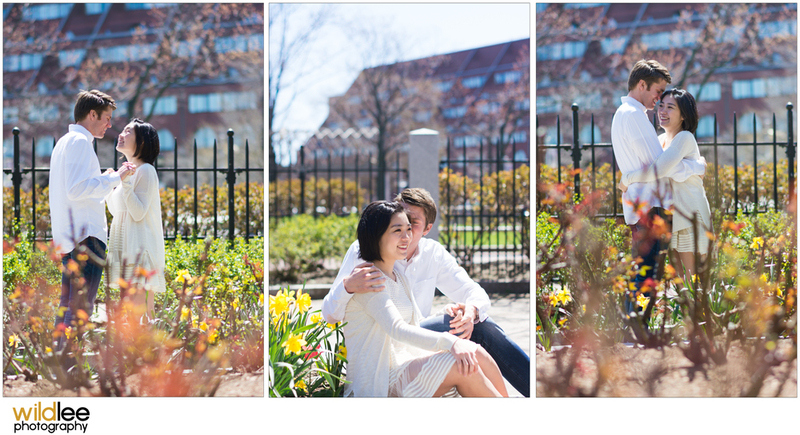 I love the North End, and Columbus Park was soooo beautiful that day. 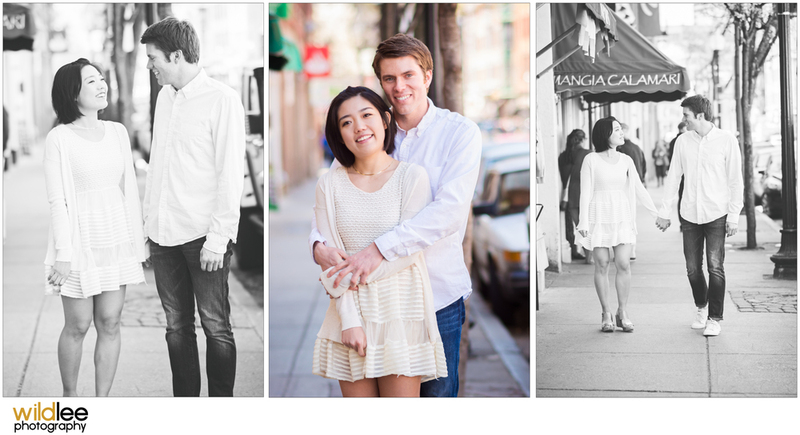 Even though it was cold (still) that day, Esther looked amazing in her dress and was a trooper the whole time! 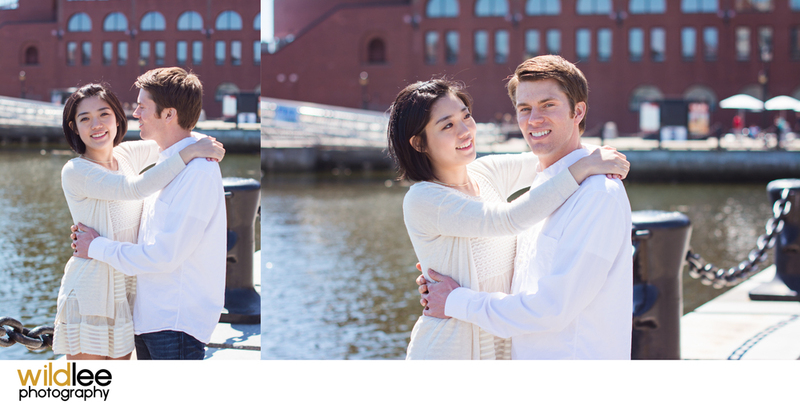 Esther and Mitch are engaged and are looking forward to a great future together! 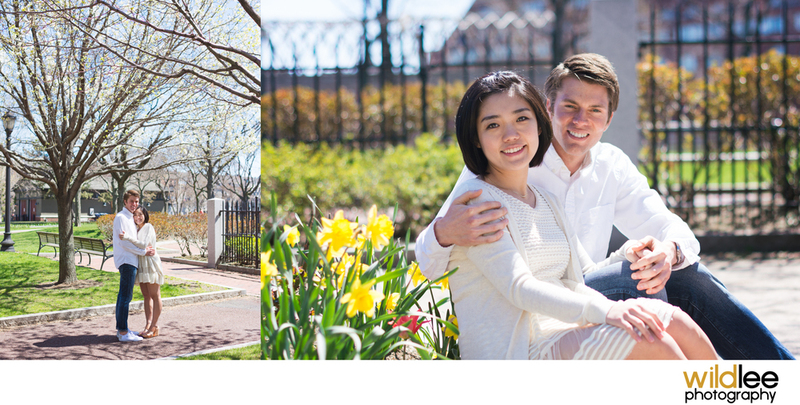 Wishing you both the best in your future together. Aren't they picture perfect!